Introducing The Muses: a new reading series that will bring together Ottawa’s poets and musicians on the same stage. Please join us for the launch of the series. at Rasputin’s, 696 Bronson Avenue, Ottawa. 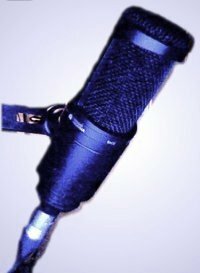 Poetry: rob mclennan, Amanda Earl, Michelle Desbarats, Mike Buckthought. Music: Tanya Janca, Earth*tones (with Lori Waller, Mike Buckthought and Jack Pyl). Benefit for Imagine Ottawa and the Peace and Environment News. Arbour Environmental Shoppe, 800 Bank Street in the Glebe. For more information about The Muses Reading Series, contact Mike Buckthought at 613.567.7244 or helios –at– ncf.ca. rob mclennan is an Ottawa-based poet, editor and publisher. 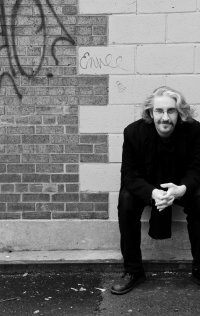 His thirteenth trade poetry collection is The Ottawa City Project (Chaudiere Books, 2007), and his first novel will appear this fall with The Mercury Press. 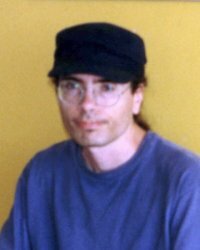 He often posts reviews and essays at www.robmclennan.blogspot.com. Amanda Earl’s poetry has recently appeared in the Ottawa Arts Review; www.ottawater.com 3.0; and as a broadsheet published by above/ground press. Her current experiments in colour, text and sound can be found through AngelHousePress. Amanda is the managing editor of Bywords.ca and the Bywords Quarterly Journal. She writes about literary stuffnsuch on amandaearl.blogspot.com and ottawapoetry.blogspot.com. Michelle Desbarats is the author of Last Child to Come Inside (1998) and Eve’n Adam (1998). Her work has also appeared in Transpoetry, Burnt Toast, Speak!, Meltwater and on CBC Radio. She was a finalist in the CBC Literary Awards, most recently in 2005. Michelle was born in Winnipeg, grew up in Montréal and Charlottetown, and currently resides in Ottawa. Mike Buckthought’s poems have appeared in Fire (2001) and The Delicate Art of Paper Passing (2006). He has broadcast his poetry on CKCU Radio, and through a megaphone on Parliament Hill. He is co-winner of the George Johnston Poetry Prize (2005). Mike honours his Mediterranean heritage by using obscure Greek, French and Spanish words. He coordinates The Muses and Earth*tones. Tanya Janca is well-known for her blunt lyrics and crisp, high-energy guitar playing. She offers up folky pop-rock stylings, characterized by mild punk undertones and liberally sprinkled with political commentary and wry social observations. Tanya Janca is currently recording “Recreate,” her fourth independent album, and has been writing, recording and performing folk music since 1998. 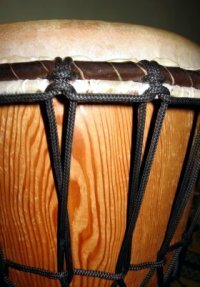 Earth*tones is Ottawa’s community drumming circle. People drum and dance to rhythms inspired by the music of Africa, South America, the Middle East and First Nations. Earth*tones has been jamming with the djembes since 1999. Photos by Charles Earl, Christina Riley, Kira Malchy and Mike Buckthought.